Elks Lawn Care is Atlantic Beach’s Best Full service lawn and Landscaping service company. We take care of everything from killing the weeds and sand spurs, mowing the turf areas, and keeping the shrubs and trees pruned to proper landscape standards. We listen to what the customers expect and add the notes to the service plan for each property that we maintain. 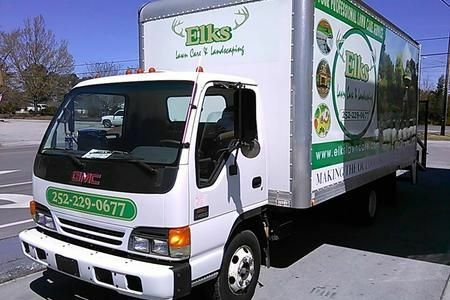 Elks is a North Carolina Certified Landscape Contractor and Licensed Turf Pesticide applicator who provide landscaping services at Atlantic Beach NC. Our employees go through constant training on every aspect of their job from meeting and greeting customers, to the proper way to trim shrubs and we even do extensive safety training. We want to earn your trust not just for today but for many years to come. We use our skills to keep your property healthy so you can enjoy the beach while you are down. Leave the hard work to us. We are proud to be the areas premier service provider and look forward to helping you enjoy the outdoors. We maintain Beach houses, Condos, Apartment Complex, Offices, Hotels and Shopping Centers. We want to earn your business. Give us a call today so we can put together a plan for managing your landscape needs. Turf Weed Control, Insect control and Fertilizer application. Shrub and Tree Pruning, Application of Mulch & Pine straw, Weed control of Natural Areas.